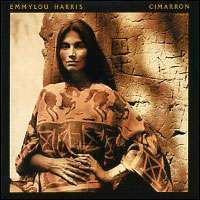 Cimarron is a 1981 Emmylou Harris album that, like its predecessor, Evangeline, was composed mostly of outtakes from other recording sessions that had not fit into any of Harris' other albums. As a result, critics at the time complained that the album was "choppy" and lacked a unifying sound. Nonetheless, the album did well on the U.S. country charts, and featured three top-ten country singles: "Born to Run" (not to be confused with the Bruce Springsteen song of the same name), "If I Needed You" (a duet with Don Williams), and "Tennessee Rose." It was nominated for a Grammy in 1982 for Best Country Vocal Performance, Female. In 2000, Eminent Records issued Cimarron for the first time on CD (it had been out of print since the late 1980s), with new liner notes and a bonus track, "Colors of Your Heart."